PRESENTING PRINCESS SHAW. (DVD Artwork). ©Magnolia Home Entertainment. 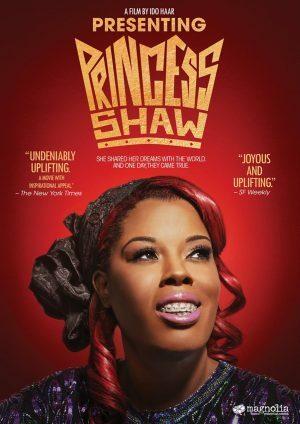 The documentary “Presenting Princess Shaw” arrives on DVD and Digital HD Tuesday Sept. 13 from Magnolia Home Entertainment. The emotional and heartwarming film follows Samantha Montgomery, an aspiring singer under the name of “Princess Shaw” in New Orleans, who touches the heart of composer and video artist Ophir Kutiel (a.k.a. “Kutiman”). Kutiman later uses her vocals to create a video mash up with other amateur YouTube performers, capturing the attention of millions. By day, Montgomery cares for the elderly in one of New Orleans’s toughest neighborhoods. By night, she writes and sings her own songs as Princess Shaw on her confessional YouTube channel. Meanwhile, across the globe, Kutiel creates video mash ups of amateur YouTube performers. Known as Kutiman, he is a composer, a musician, and a pioneering video artist. Kutiman “transforms sampling into a multimedia art,” whether at his home on a kibbutz in Israel or at a live performance at the Guggenheim in New York. Two strangers, almost 7,000 miles apart, begin to build a song. The documentary unfolds as Kutiman pairs Princess Shaw’s emotional performances in a beautiful expression of generosity and compassion, revealing the bona fide star underneath and her fight to never give up on her dreams. Extras on “Presenting Princess Shaw” include deleted scenes, an interview with the vocalist and the theatrical trailer. The DVD is available for an MSRP of $26.98. In celebration of its 30th anniversary, “The Transformers—The Movie” arrives in a special two-disc Blu-ray and DVD Collectible Limited Edition Tuesday Sept. 13. The animated action adventure, released theatrically in 1986, has been meticulously restored and remastered from a brand new 4K transfer of the original 35mm film. Fans now can immerse themselves in this animated adventure with state-of-the-art picture quality for the optimal home entertainment experience. Featuring memorable characters—the heroic Autobots, the villainous Decepticons and the Unicron, “The Transformers—The Movie” features non-stop action and a heartfelt storyline. Among the talent contributing to this classic feature is Orson Welles, in his final voice-acting role. Other notable voices included are Peter Cullen, Eric Idle, Casey Kasem, Judd Nelson, Leonard Nimoy, Robert Stack and Frank Welker. The Autobots, led by the heroic Optimus Prime, prepare to make a daring attempt to retake their planet form the evil forces of Megatron and the Decepticons. Unknown to both, a menaces force is heading their way—Unicron. The only hope of stopping Unicron lies with the Matrix of Leadership and the Autobot who can rise up and use its power to light their darkest hour. “The Transformers—The Movie” 30th Anniversary Steelbook Special two disc Blu ray includes the highly collectible Steelbook packaging that features striking key art, all-new HD transfer of the movie in widescreen and full frame on two Blu-ray discs. The bonus content includes “Til All Are One,” a brand new comprehensive documentary looking aback at Transformers The Movie with members of the cast and crew, including story consultant Flint Dille, cast members Gregg Berger, Neil Ross, Dan Gilverzan, singer/songwriter Stan Bush, composer Vince Dicola and others. You also can tune in to an audio commentary with director Nielson Shin, story consultant Flint Diller and star Susan Blue while watching the film. The set includes other featurettes, animated storyboards, trailers and TV spots. These restored and remastered movies will be available individually on Digital HD and the “Little House on the Prairie: Legacy Movie Collection” DVD will be available for a $14.98 (MSRP). 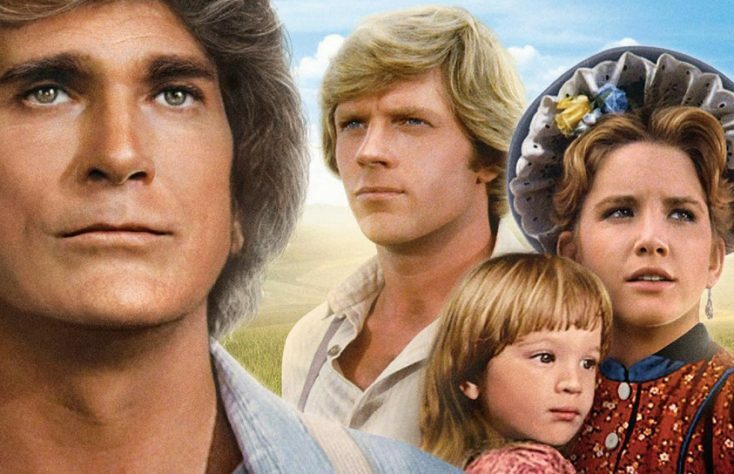 The story of the Ingalls family concludes with these three heartwarming movies—newly restored and remastered for optimal sound and picture quality. Rediscover the adventure of “Little House on the Prairie” as Albert (Matthew Labyorteaux) displays courage in the face of a serious illness; Laura (Melissa Gilbert) and Almanzo (Dean Butler) race to find their missing baby daughter; and the community of Walnut Grove unites to defend its town in these inspiring and exciting moments that fans will treasure. Michael Landon, Karen Grassle, Victor French and Richard Bull also star in these TV films that originally aired in 1983 and 1984. On Tuesday Sept. 13, Acorn TV’s unscripted British crime drama “Suspects: Series Three & Four” arrives on DVD. Filmed from an eyewitness perspective with improvised dialogue, this one-of-a-kind procedural delivers an immersive, authentic look at police investigations. The series stars Fay Ripley (“New Tricks”), Damien Molony (“Being Human”) and Clare-Hope Ashitey (“Children of Men”). DS Jack Weston (Molony), DC Charlie Steele (Ashitey), and DI Martha Bellamy (Ripley) investigate a series of crimes in modern-day London in this acclaimed police procedural from across the pond. The eight all-new episodes are unscripted, and the actors improvise their dialogue. Guest stars Joe Absolom (“Doc Martin”), Jonathan Coy (“Downton Abbey”), Elizabeth Rider (“Coronation Street”), Ray Fearon(“Coronation Street”), Daisy Head (“The Syndicate”) and Nicola Millbank (“Mount Pleasant”). This two-disc DVD set is available for $49.99 (MSRP) at AcornOnline.com. Suspects, Series Three & Four made its U.S. premiere in June on the streaming service Acorn TV.